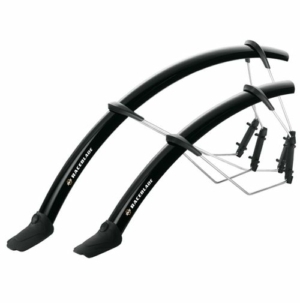 In wet and muddy conditions bike mudguards are a must for all cyclists, not only do they protect you and your bike from water and muddy spray. 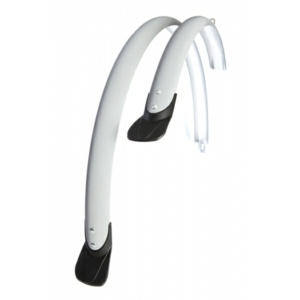 We have full mudguards for club riders to commuters and clip on mudguards for those who want no fuss. 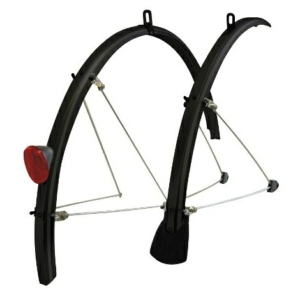 Mudguards are a must for all riders though those winter months. When looking for which bicycle mudguards for your bike. 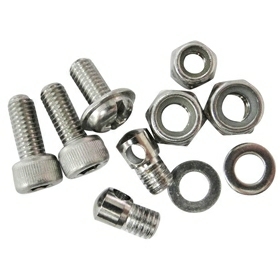 First of all seek some advice if you are unsure whether they will fit your bicycle or not. Drop the bicycle lounge a line and we will fully assist you in your choice. 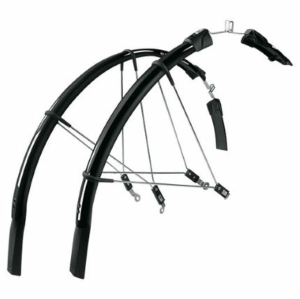 Full mudguards are always best but do not fit all bikes and are not always the most practical. 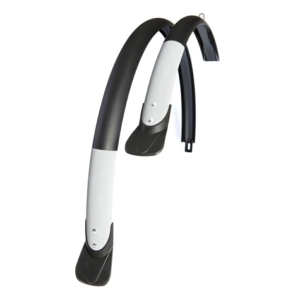 Clip on mudguards are simple in design and fit, and also make bike mudguards look a little more modern.